Rack jobbing is one of the logistic solutions from the Easy Order System®, a package of technical and logistic solutions which can save money on administrative and logistic costs. 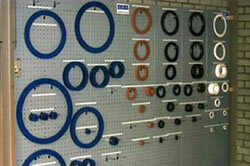 Your grab-stock of gaskets will hang on a hang board rack at a central stock location in your warehouse. 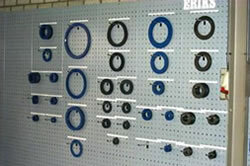 We will take care of periodical supply, this can be done weekly from the nearest ERIKS Service Centre. Your complete package of gaskets, standard as well as custom made, is always available. Your purchase route will be reduced to invoice control and payment, your handling and stock costs will be reduced drastically.